Restaurant “Kuca Velikana” offers a unique experience and a combination of excellent food and superior service in an unusual setting. Entering the Kuca Velikana in Skadarlija street is bringing you back to the old time bohemian life of Belgrade. 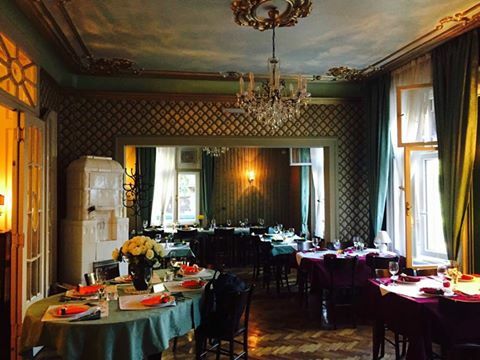 Enjoy the atmosphere of a traditional Serbian cuisine.Restaurant is an ideal place for very occasion and can accommodate up to 50 people. This venue is one of the oldest and most famous houses in Skadarlija. It is located in the epicenter of this magical and enchanting street. This beautiful corner house was built in the late 19th century. At the house is a memorial plaque filled with a dozen names of famous artists of the last century who lived in it, created and gave life to this “bohemian” home that is still present.